SUMMARY: SMSFs face greater restrictions in 2016 for borrowing to buy property. The banking regulator didn’t just bark a little in 2015. It bared its teeth and showed it knows how to bite hard. While we didn’t get to hear the bark of the Australian Prudential Regulation Authority because it was behind closed doors of the major banks’ boardrooms, we certainly felt the bite. Both home owners and investors felt it. However, investors received multiple wounds. Almost across the board, interest rates jumped several times as banks reacted to APRA’s commandments. But with less media publicity, thousands of people looking to purchase an investment property were in for a rude shock, when told their bank would no longer lend to them. Australia’s ever conservative self-managed superannuation fund trustees got caught up in APRA’s wrath. Lenders to the SMSF sector also increased rates and restricted lending criteria, effectively choking the supply of funding for loans via limited recourse borrowing arrangements (LRBAs). And in one case, a lender just pulled the plug on lending to any investors. That decision came in July from AMP Bank. Getting a loan for your SMSF to invest in a geared property via an LRBA is harder going into 2016 than it was just a year ago. In reality, the dust hasn’t yet fully settled from APRA’s intrusion into bank lending standards. While there was APRA Bark I in April and APRA Bark II in July, unless system-wide lending growth to investors falls back to about 10%, we could be in for APRA Bark III. Where does this leave the SMSF investor? Simply, getting money from a lender will be harder. There will be less money on offer. The system-wide reaction from banks is probably summed up best by the announcement from AMP Bank, upon re-entering the market to lend via LRBAs, in December. Prior to July, AMP was one of the leaders in the LRBA space. It left the market because of its success. Without stopping lending to investors completely for a period, it had no hope of getting investor loan growth back to around 10%. Five months later, it announced it was ready to re-enter the market. But its policies had been rewritten. AMP Bank said it would no longer lend for new properties, would drop the maximum loan-to-valuation ratio from 80% to 70% and would introduce a “minimum fund size of $200,000”. Many other banks had already reduced LVRs for LRBAs. And while not necessarily stating a “minimum fund size”, they had introduced changes that had similar impacts. In my opinion, the most important change AMP has introduced is this: “Properties less than six months old (including off the plan) are now classified as unacceptable securities (for SMSF loans only)”. As I’ve written recently, the single biggest threat to SMSFs (see column, 2/12/15) is that posed by property developers. The Australian Investments Securities Commission is making some inroads in dealing with the issue, but it really needs actions of banks to make policy changes like that which AMP has made. SMSF trustees can still get a loan to purchase a property via an LRBA. A survey report by Canstar into SMSF Lending in October last year (unfortunately rendered out of date almost by time of publication due to the volume of changes last year) surveyed 17 of the top lenders in the space. By number, they are predominantly smaller lenders, and not all of them must jump when APRA barks. Canstar found that maximum LVRs had only fallen, on average, by 1%, from 79% to 78% over the previous year. However, the report was published in October, prior to further changes being made by the banks. What should SMSFs interested in purchasing property do? If SMSF trustees are in the market for an investment property, you’ll need to shop a little harder. If you’re intending to put up a significant deposit (such as 30-40 per cent, plus costs including stamp duty) to buy an existing property, then you’ll find that most lenders in the space will accommodate you. 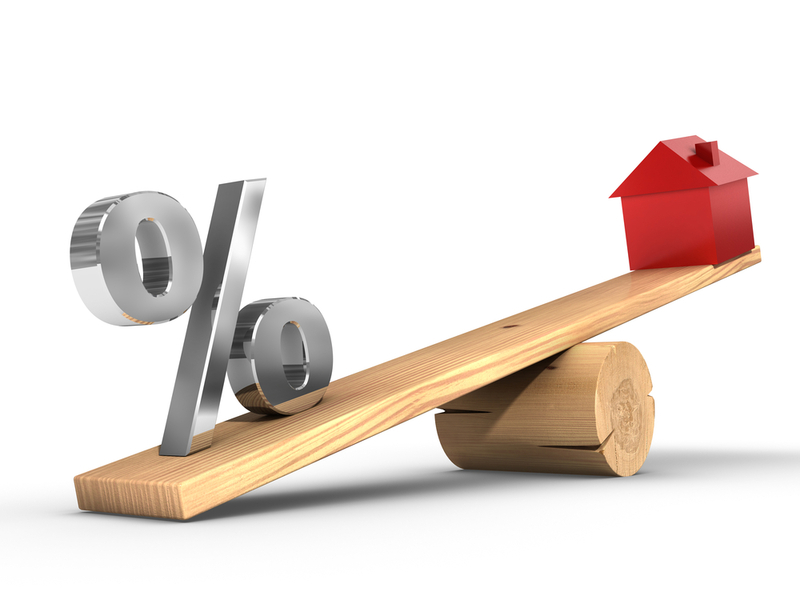 But if you’re looking to borrow 80% – the maximum LVR that I’ve come across as a mortgage broker – then your options will be somewhat more limited. Be wary of buying off-the-plan property from developers. I’m hoping more lenders in the space follow AMP’s lead. Look out for those loan products that have offset accounts attached to them. Not many products in SMSF loans have this feature. SMSFs are, usually, significant holders of cash. So if you’re going to both own a geared property in your SMSF and continue to hold ample cash, then an offset account will generally be far more valuable than earning taxable income in a high-interest savings account (see this column, 6/5/15). Be aware of legislative risk – the rules could change at any time. The Government gave every indication that LRBAs would continue to be allowable last year, when the responded to David Murray’s Financial Systems Inquiry. They approved 43 of Murray’s 44 recommendations, with the only one rejected being a proposed ban on LRBAs. And for those who have used related party loans – loans from yourself or your business to your SMSF – to purchase investment properties, remember you only have until 30 June this year to make sure those loans are on commercial terms. See this column, 4/11/15. On related party loans, the ATO plans to get tough immediately following the 30 June, 2016, deadline.